Ask anyone to name an aircraft from World War Two and they’ll immediately say “Spitfire”, dig a little deeper though and you might just hear “Hurricane”. This is very much reflected in the numbers of each type currently in airworthy condition. 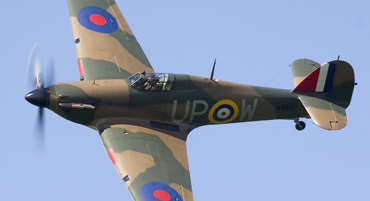 While there are over 50 airworthy Spitfires in the world, Hurricanes are far fewer. 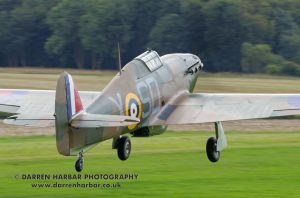 Being such a rare type, the Hurricane is an exclusive part of the Warbird market for pilots and owners alike. 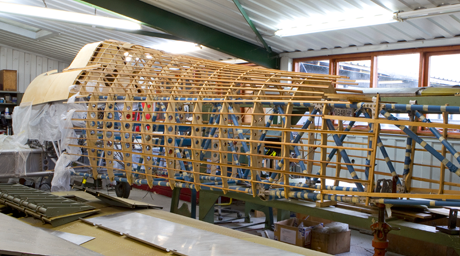 Hawker Restorations are devoted to bringing Hurricanes back to life and returning them to the air. 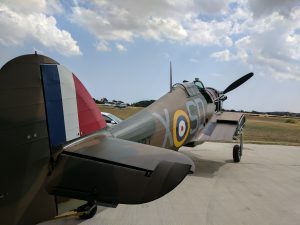 Most recently this saw Hurricane Mk I V7947 return to the skies in September 2018. This airframe is a battle of Britain veteran that saw combat history operating from Kenley in the summer of 1940. There is currently a 25% share in this remarkable aircraft available for purchase. This would give any interested party the chance to get into historic fighter ownership at a fraction of the price. For any interested pilot, it would also open the door to the chance of flying this Hawker machine. To give an insight into the challenges and merits of operating the Hurricane, we spoke with Stu Goldspink. Stu has been lucky enough to fly 11 different Hurricanes and has carried out the first flight and testing of numerous examples. On the day of this interview Stu had just guided another pilot through their first ever Hurricane sortie, a fitting day for our conversation. Before talking about the specifics of flying a Hurricane, it was explained that in order to even consider flying the aircraft, tailwheel experience is a must. While a Hurricane is “not difficult” to fly, it can be a challenge for a modern pilot that has trained on nose wheel aircraft. Specifically, plenty of hours on a Harvard, as flying the North American trainer from the backseat is a good replication for the experience of flying a Hurricane. Operating the Hurricane and its systems takes care as well, though with preparation are easily managed. Keeping a Merlin engine in working order takes careful management of course, though modern operations ensure that the engine is treated gently. While a full +12lb of boost would be available, “no more than +6lb” would typically be used and such a setting would only be required for aerobatics. While other fighters of the era have big problems with overheating on the ground, the Hurricane has no such issues as its centrally mounted radiator sits in the propdraft keeping things under control. Take off is straightforward, with the canopy shut before advancing the power to +3lb boost and keeping the aircraft straight with the rudder pedals, a skill that would certainly be familiar to any pilot with plenty of time on Harvard (Stu had over 5,000 tailwheel hours before his first Hurricane flight). Once the tail is up the aircraft soon gets into the air. Unusually, once airborne the priority becomes keeping the speed down. The Hurricane has aerodynamically designed gear doors, which are intended to assist the locking down of undercarriage in an emergency. The inside of each gear leg is carefully built in order to force the gear into the lowered position. This means that at any speed higher than 120mph it is not possible to retract the undercarriage. With a takeoff speed of around 75mph and 1,500hp of Merlin upfront this needs to be managed carefully. This results in the characteristic steep climb that you will often see a Hurricane perform on climb out. With the gear retracted the propeller is brought back from fully fine to 2,650rpm. In terms of general handling, the Hurricane could “turn inside almost anything” thanks to the big wing and can fly slowly well. Once you are familiar with the Hurricane it is one of the most straightforward warbirds to fly. It is like “a big old Bentley”. 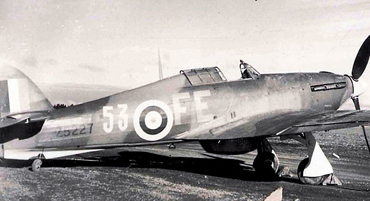 The Hurricane is capable of about 220mph in level flight with +6lb boost, with a little height speeds of around 270mph can be reached, which would typically be recommended for aerobatics. With this sort of entry speed loops and half Cuban manoeuvres can be flown comfortably. The Hurricane is a good aerobatic performer though it is important to keep the most height in rolling manoeuvres due to a tendency for the nose to drop when inverted. At the slower end of the envelope the Hurricane is very gentle. A stall will occur at around 60mph and simply results in a “nod” with no tendency to drop a wing. When preparing for landing the first stage is a run and break into the circuit, before reducing the speed below that all important 120mph and then lowering the undercarriage. The canopy is opened for landing and attention must be taken to correctly adjust the trim to ensure a three-point attitude can be achieved. In the circuit, the flaps on the Hurricane are very effective from a drag point of view. Like the Spitfire they simply have “Up’ and “Down” rather than stages, providing lift, as may be on other aircraft of the era. It is wise to keep power on while the flaps are down, given how effective the flaps can be. Crosswinds are manageable, though an upper limit of around 15-20mph is advised as the ailerons do lose their effectiveness at lower speeds. The Hurricane is a versatile machine as well, with plenty of capability in terms of short field operations. As we sat at Old Warden Stu explained that there would be no problem operating a Hurricane from that field (as of course happens regularly) even without the current extension. This makes operating the Hurricane in various different locations not only possible but straightforward. 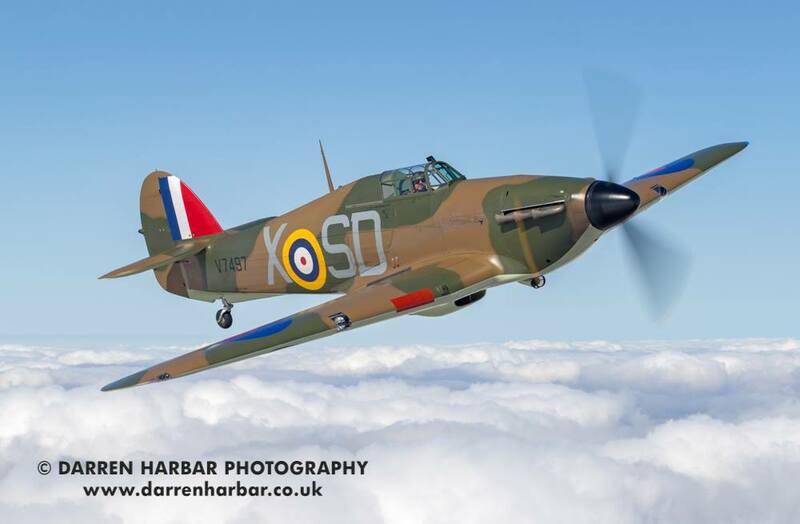 In the past owners have made use of Hurricanes as a machine for more general flying and the aircraft does suit this, though hands on flying is generally required at all times. Of V7497 itself, the airframe is “nicely balanced” and performed well throughout test flying. Though all the same type each of the 11 examples Stu has flown has been different, largely due to centre of gravity distribution. Throughout the testing process this airframe had almost no snags, with only minor adjustments being required. This meant that there was a chance to simply enjoy flying the airframe throughout the testing schedule. The Hurricane is a “unique” machine and has clearly played a significant part in Stu’s career. Of all the warbirds, the Hurricane would certainly make a great introduction for any developing pilots to these second world war fighters. If this insight into flying this legendary fighter has made you want to investigate the possibility of owning and flying part of history, please do get in touch with the team at Hawker Restorations who would be glad to discuss things further with you.